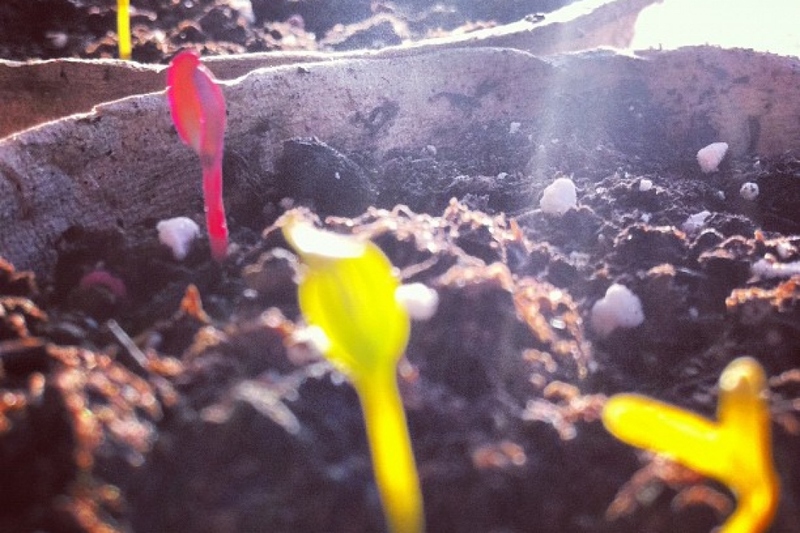 Chard (Beta vulgaris 'Blette'): growing, planting, caring. Perfectly delectable, in a nice white sauce... Chard produces edible stalks throughout much of the year. Easy peasy! Chard/Swiss chard is a biennial vegetable that harvests two months after planting, and can continue to thrive through the winter. Grow them in open soil or in a pot, in soil rich and acidic, not too dry (if in open soil), in direct sunlight or partial shade. This biennial, dycotyledonous plant measures between 30 and 50 cm in height. Chard — swiss or otherwise! — has long, white stalks with dark, short, and smooth leaves. The chard to be cut has small, smooth leaves under the short stalks. Some varieties are even red. You may seed in open soil starting in mid-April, after the last freezes, in rich and slightly acidic soil, either in full sun or partial shade. In tcold climates, protect your seedlings with a cold frame for their first month, or wait until mid-May to sow. Bury the seeds at a depth of 2 cm, then water. Transplant your chard that was seeded in a pot or a nursery to open soil after mid-April or mid-May, depending on latitude. Find them somewhere with sunny exposure, and plant them every 40 cm. Plant them in lightly acidic soil in full sun or partial shade, ensuring the soil isn't too dry and has been enriched with a bit of bottom fertilizer — either compost or decomposed manure. Starting in the beginning of May, once there's no more risk of freezing, place them in your planter or garden in a sunny place, sheltered from the wind. Plant them in lightly acidic soil in full sun or partial shade, ensuring the soil isn't too dry and has been enriched with a bit of bottom fertilizer — either compost or decomposed manure. If you have sown in open soil, keep only one plant every 40 cm. You can adapt slightly depending on the development planned for each variety. Water your seedlings at least once every other day with a fine mist. During the summer and the harvest period, water only according to need. They can be harvested from September to November. First cut the large, exterior leaves, taking them off only a few at a time. Young chard fears slugs! Beer bottle traps, flour...many remedies exist to discourage these opportunists without having to run for the chemicals. 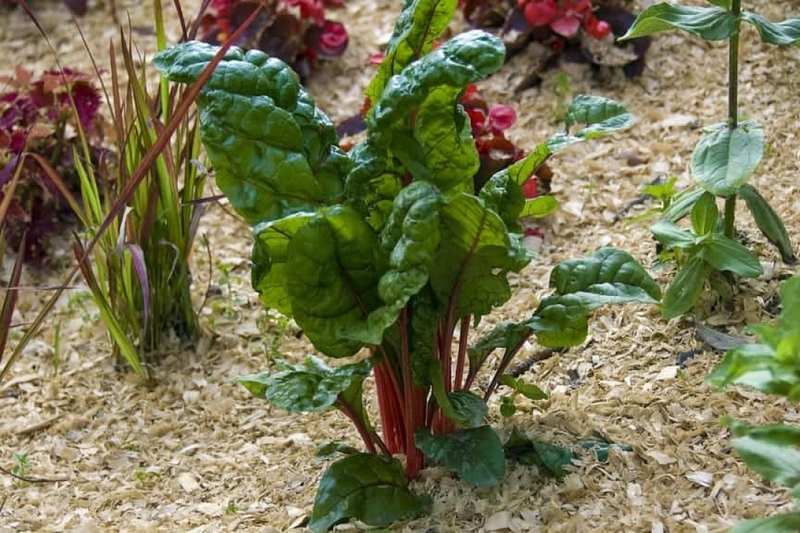 The chard are biannual, to help them overwinter, form small mounds in October-November around the foot to bury the base of the leaves, and cover with mulch. In spring of the second year, remove the mounds of earth around the foot of the plant from the previous autumn. After flowering, you chard will dry out — you may then pull them up and use as compost.